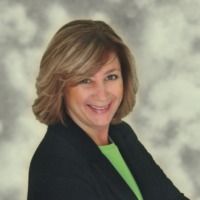 Originally from Long Island, New York, Karen Sussman has been a successful Realtor in South Florida since 1994. Representing buyers, sellers and investors, Karen is well respected in the industry by colleagues and clients for her high ethical standards, hard work and professionalism. As a Licensed Florida Realtor®, Karen has access to every home on the market in South Florida and can also assist with new construction and land acquisition. As a long time Florida resident, she is an expert in the local Real Estate market and has an extensive referral network of qualified professionals including movers, home inspectors, painters, contractors, interior designers, landscapers, attorneys, etc. Karen credits her success to her loyal, repeat customers many of whom have become close friends over the years. She will handle every aspect of your home purchase or sale making sure everything flows smoothly from start to finish. "I work 7 days a week as I love what I do. When I have down time I enjoy gardening, cooking, music and the beach."